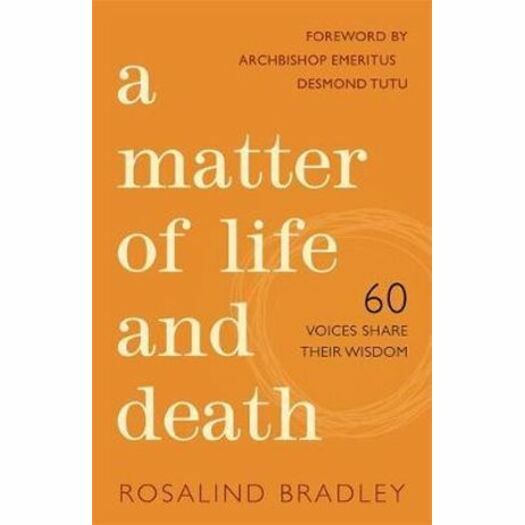 A Holocaust survivor whose mother collapsed and died only moments after they both registered as survivors, a death row inmate who has reclaimed his life through Buddhism, and a mother whose daughter was diagnosed with aggressive breast cancer two days before her thirtieth birthday, among others, offer their perspectives on death and dying in this thought-provoking volume. Contributors from all walks of life share their thoughts on carefully selected writings, images and artwork that most accurately express death to them. Describing their unique experiences, they reveal that, beyond the heartache and the mystery, death teaches us all invaluable lessons about how we live our lives. Offering comfort, reassurance and varied insights into death, loss and its impact on life, this collection is for anyone w ho might be coming to terms with this inevitable destination. Royalty proceeds from the book will be donated to Ashgate Hospicecare, North Derbyshire, UK. Rosalind Bradley was born and raised in the UK but has lived in Sydney, Australia for over 30 years. She has taught in Papua New Guinea and is currently a Council Member of Eremos, a forum for exploring spirituality in Australia and a volunteer biographer at a local hospice. Rosalind has previously edited two anthologies of inter-faith prayers, A World of Prayer and Mosaic.